The best stir fry recipes for kids—and parents, too. The best stir fry recipes for kids — and parents, too. For me, stir fry is always a great dinner option when cooking for my family on a busy weeknight. Stir fry recipes are generally very straightforward, they don’t take a lot of time, and the kids always eat their dinner. Veggies and all. The only problem with them is really a problem with me: I make the same stir fry over and over! It’s officially time for me to start switching up my stir fry game and these six dinners, each featuring a different protein, are on the top of my list because, of all the ones I found, these struck me as the best stir fry recipes for kids. But, of course, they appeal to me, too—and I’m more than sure that my husband will be digging these. Maybe even making requests. How delicious does the Beef and Asparagus Stir Fry at Crumb look (above)? Very! The Chinese fake-out dish comes together fast—in about the same amount of time that it’ll take to get a far less fresh tasting version from your local Chinese take out spot—and is made with sirloin, a tender cut that my whole family loves. This is also pretty much the only way I can imagine my kids chowing down on asparagus. And if I’m wrong about that, at least there are peppers in there, too. The 20-Minute Sweet & Spicy Pork Ramen Stir Fry at Running to the Kitchen is appealing to me for a couple of reasons. First and foremost, TWENTY MINUTES. Beyond that, I love the use of ramen noodles, something that I know my kids will totally dig. And, honestly, me too. I mean, who doesn’t love ramen noodles?! 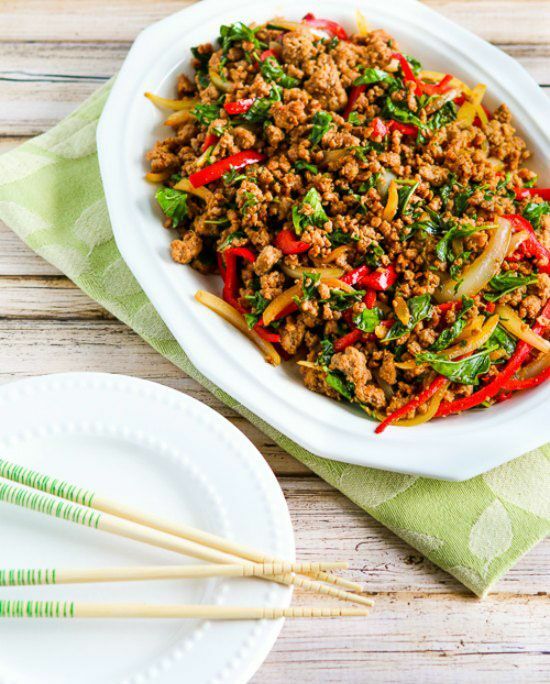 If your family prefers Thai flavors to Chinese, or you’re just looking to switch things up, give this Thai Inspired Ground Turkey Stir Fry at Kalyn’s Kitchen a go. Ground turkey lightens things up and, honestly, I always have some in my freezer since it’s so easy to use. Do the same and this stir fry with with basil and peppers will never be more than 20 minutes away. 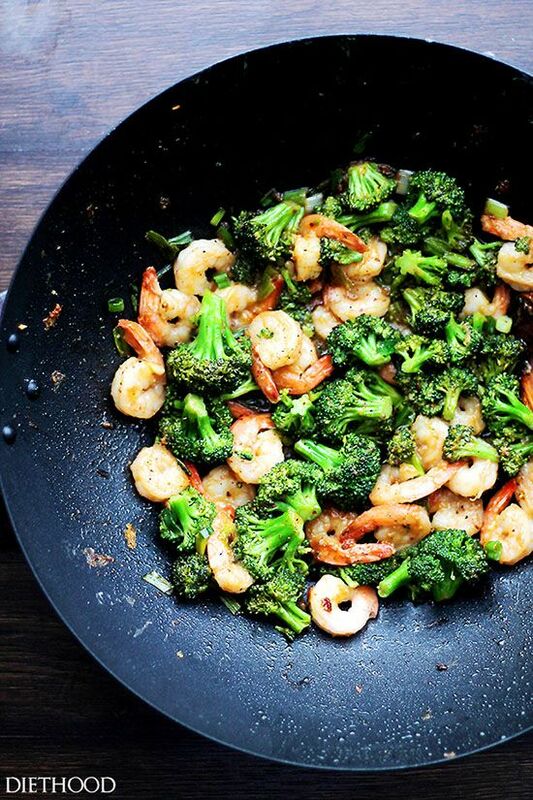 If you’re looking to get away from a regular rotation of chicken, beef, and pork, try this Shrimp and Broccoli Stir Fry at Diethood. 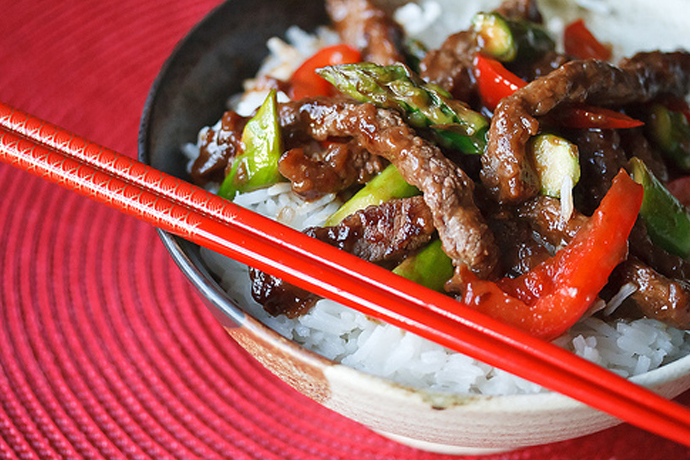 This is another one that’s ready in 20 minutes (see why I love stir fry!) and it’s packed with broccoli, too, one of the green veggies all of my kids will eat with minimal complaints. Related: How to cook with frozen shrimp, the ultimate time-saving protein, plus 8 kid-friendly shrimp dinners. Maybe you’re looking to skip meat all together? Stir fry recipes are still a great option. 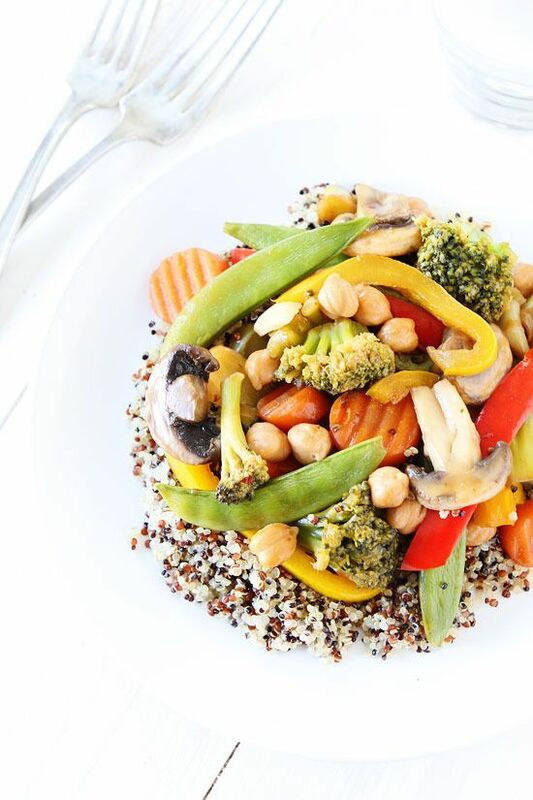 This Easy Chickpea Vegetable Stir Fry at Two Peas and Their Pod, for example, is full of flavor, veggies, and protein—perfect for vegetarians and flexitarians. Or just folks trying to eat less meat. Sign me up. Okay, so chicken gets boring, I know, but my family and I really do love a good chicken stir fry. 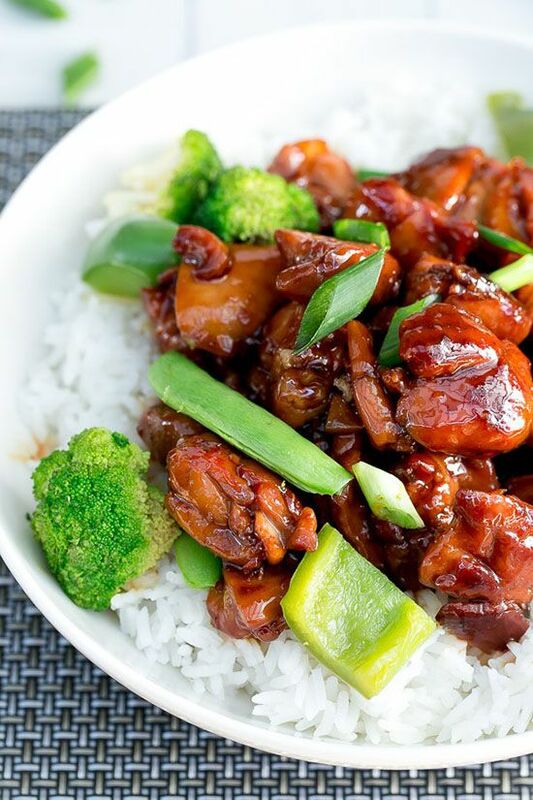 My kids are all about teriyaki sauce, so this Simple Chicken Teriyaki Stir Fry at Cafe Delites looks perfect for my family. I bet yours will like it, too. 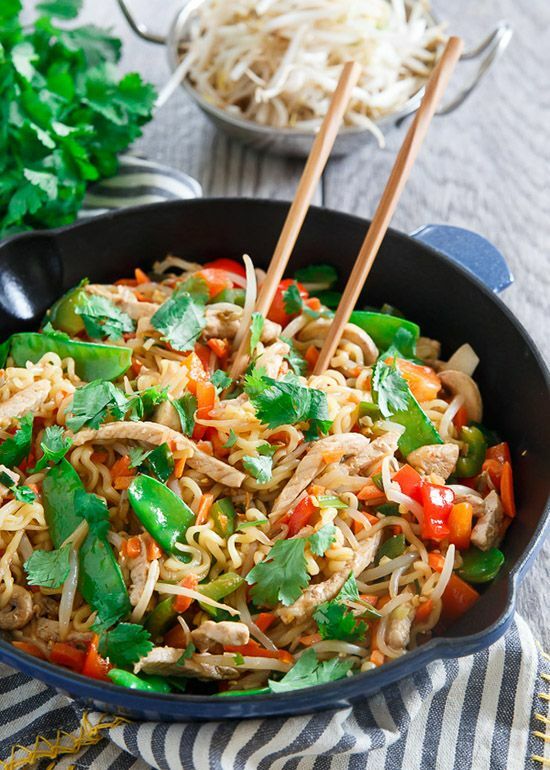 I love stir-fries, and these look so tasty! 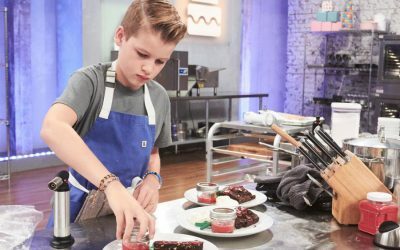 Thanks for including my recipe! It looks so delicious. We’re happy to include it and can’t wait to give it a try!